Social Media/SEO Consultant for Ft Myers Small business by Rick Thomas, Social Media Consultant. Internet Advertising for Ft Myers Florida Small Businesses. Company Facebook Page Creation and Management. 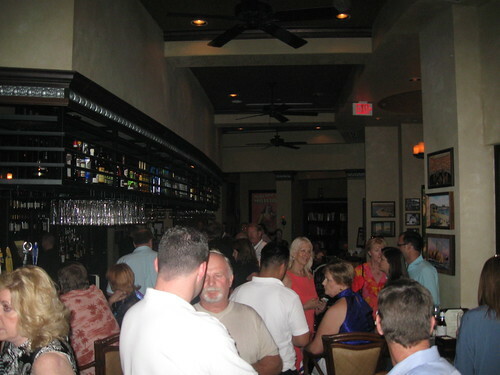 Search engine optimization, social media, and business were predominant topics of conversation at the 4th Friday Facebook Social held at Hemmingway's Island Grille at Coconut Point in Estero Florida. Business men and women using social media to promote their companies and organizations have been meeting, comparing notes, and collaborating for the past several months every 4th Friday to discuss their marketing strategy. The SW Fl. Facebook Friends meet every 4th Friday at a different establishment every month in the Lee/Collier County area in SW Florida. Always an enjoyable time! Rick Thomas, Social media/SEO Consultant in Ft Myers Florida,Regional Search Engine Marketing For Businesses, Improved Google Search Engine Rankings, Company Facebook Pages Created & Managed, Located in Fort Myers Florida. Yes I am For Hire!